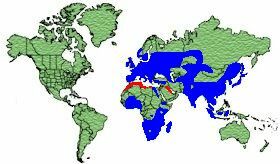 UnitedKingdom, Europe, Asia, Africa and Pacific Islands. 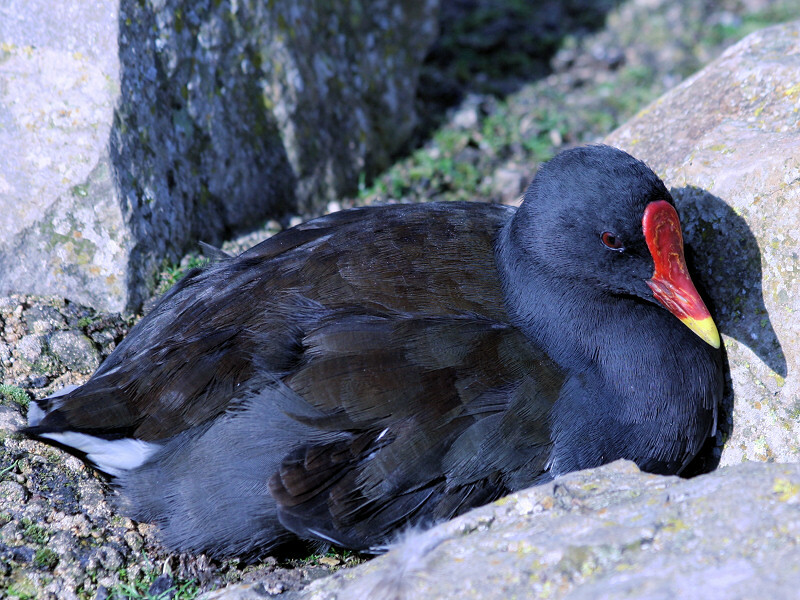 Northern birds winter further south in the Mediterranean in North Africa. 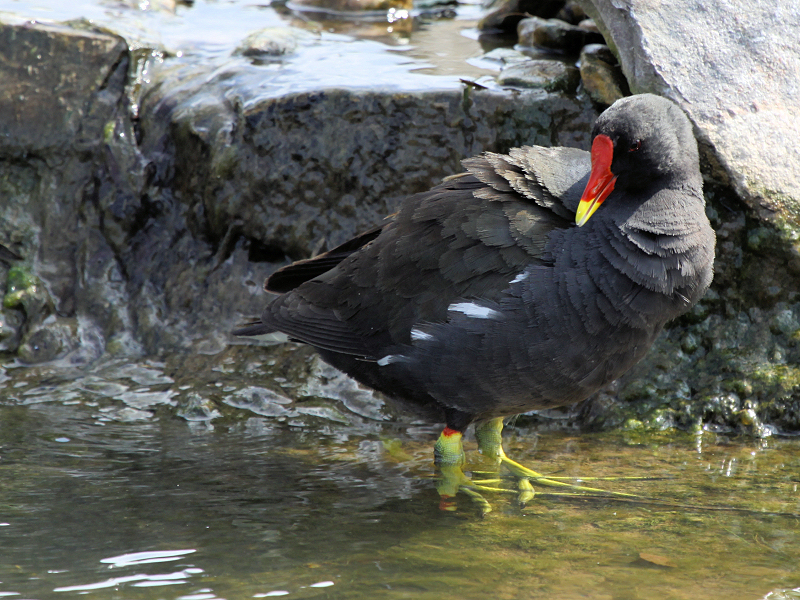 The male has Black plumage with a Brown back, Slate undersides and a White under tail. 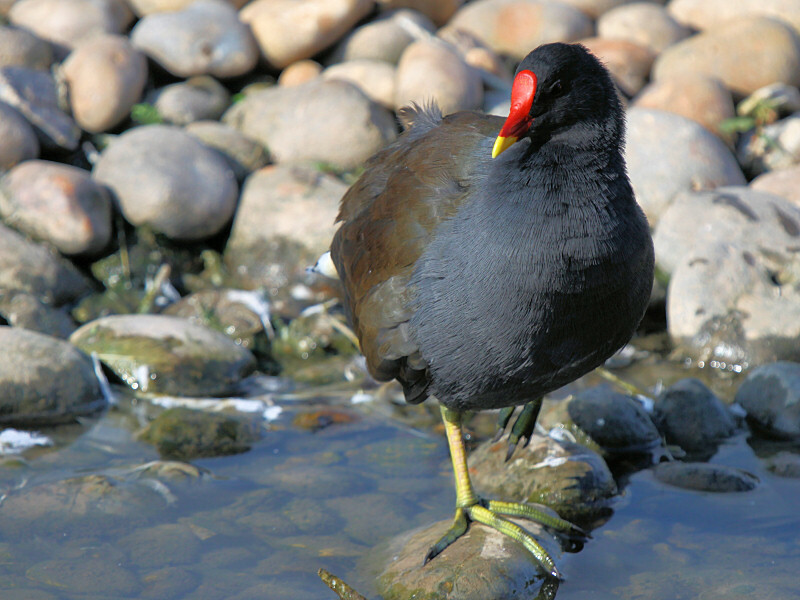 The bill is Red with a Yellow tip and a Red face shield. 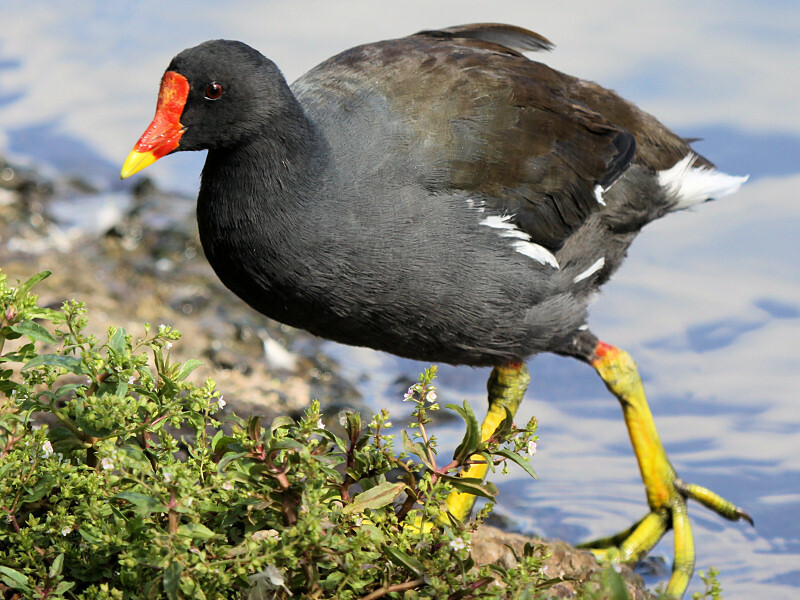 The legs and feet are Yellow. 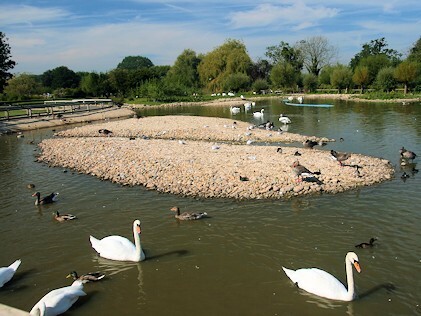 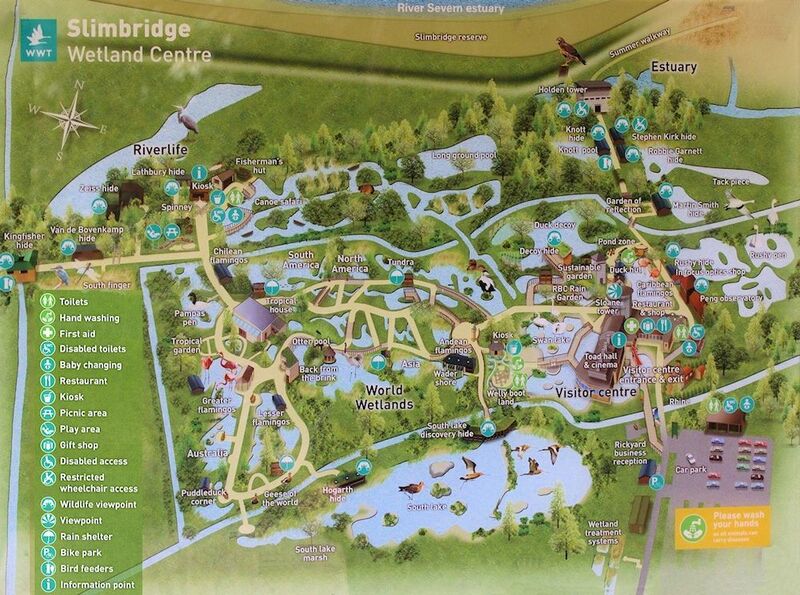 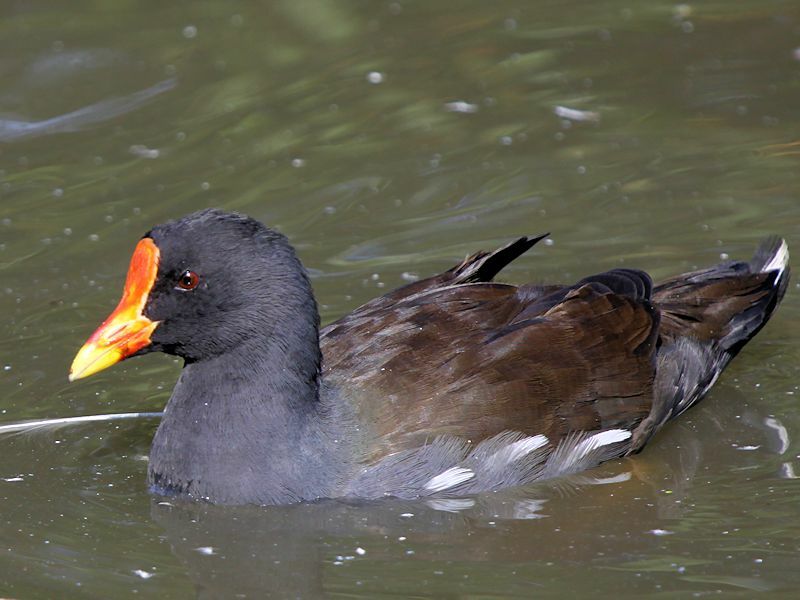 Wetlands, Lakes, Marshland and Vegetated ponds. 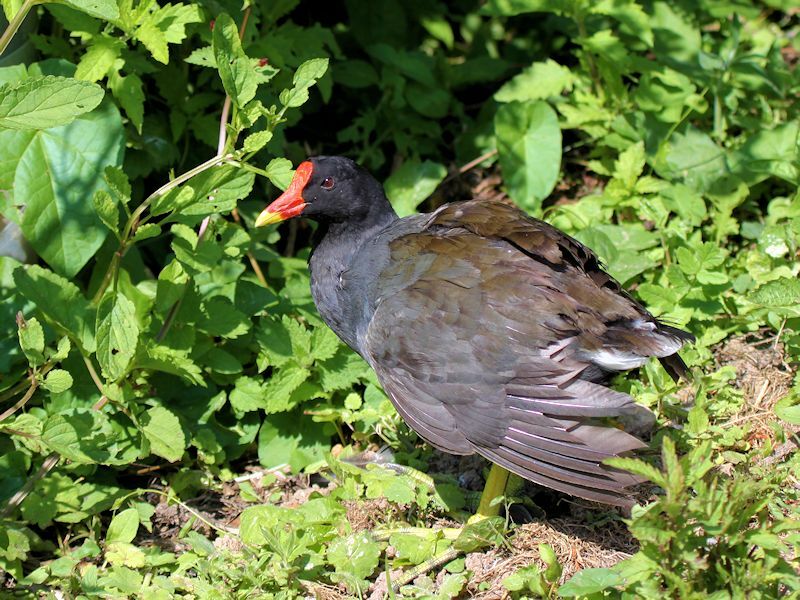 Vegetation, Seeds, Berries, Worms, Snails, Fish and bird eggs. 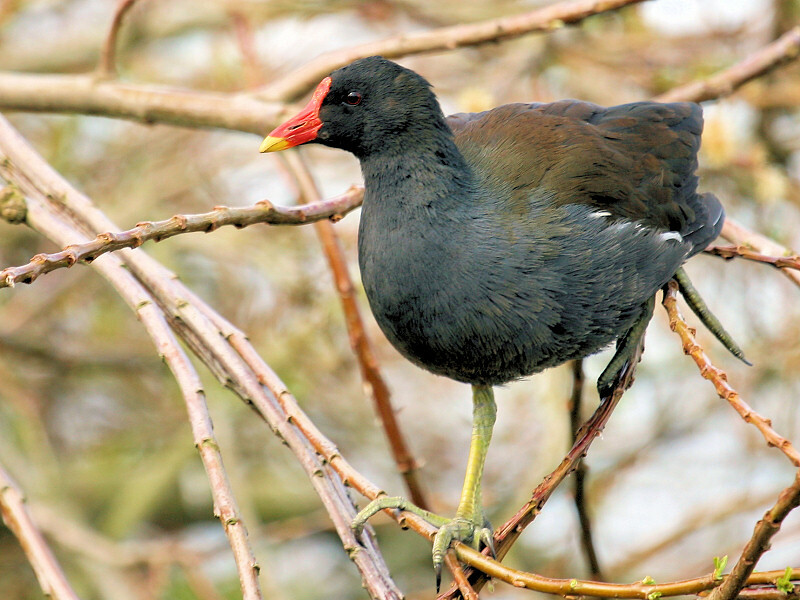 The nest is built from twigs on the ground, usually in dense vegetation, near the waterline. 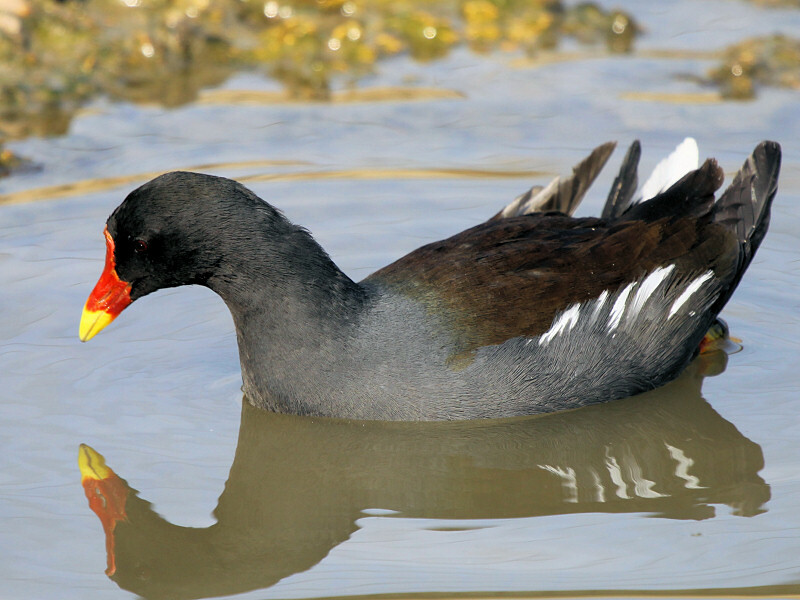 Colour: Off White with Red/Brown markings. 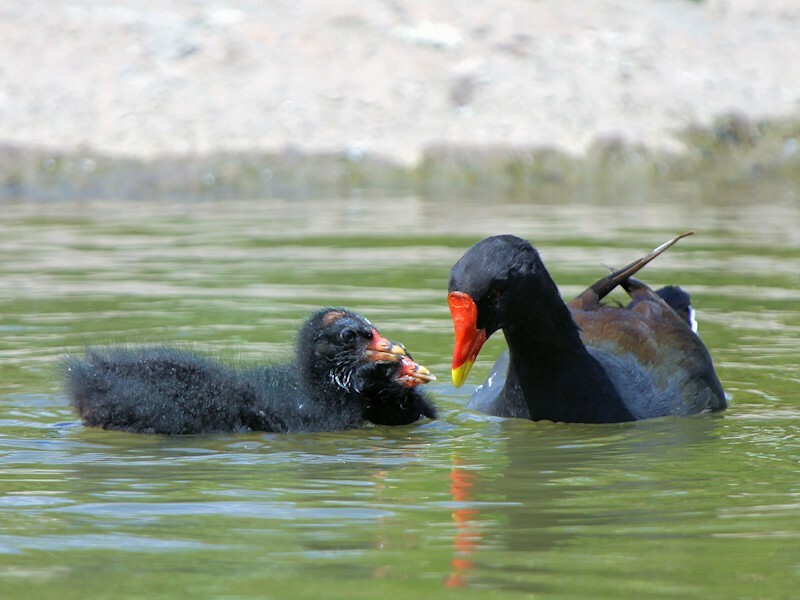 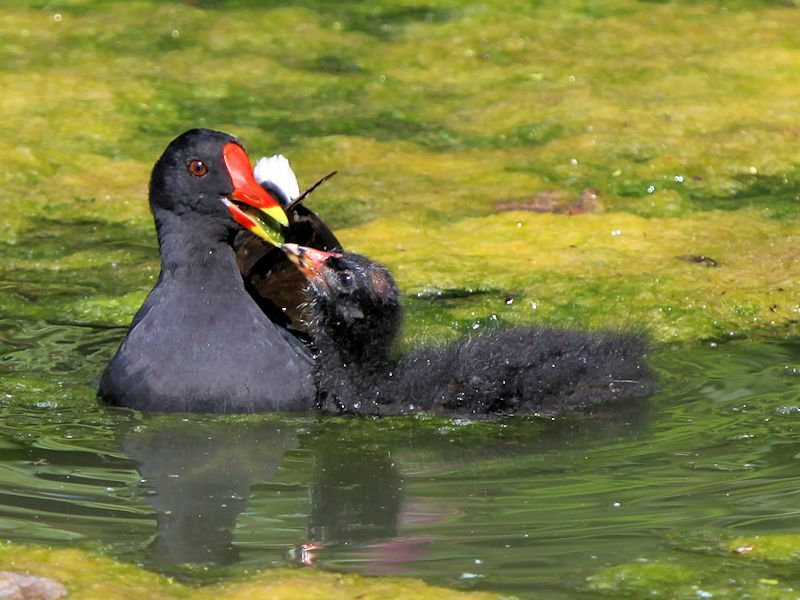 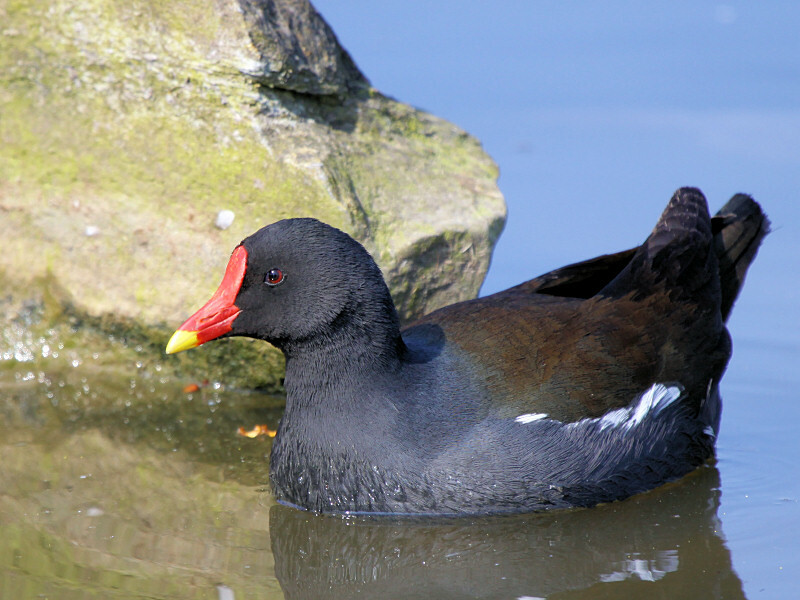 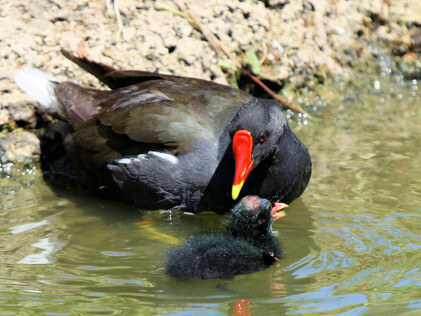 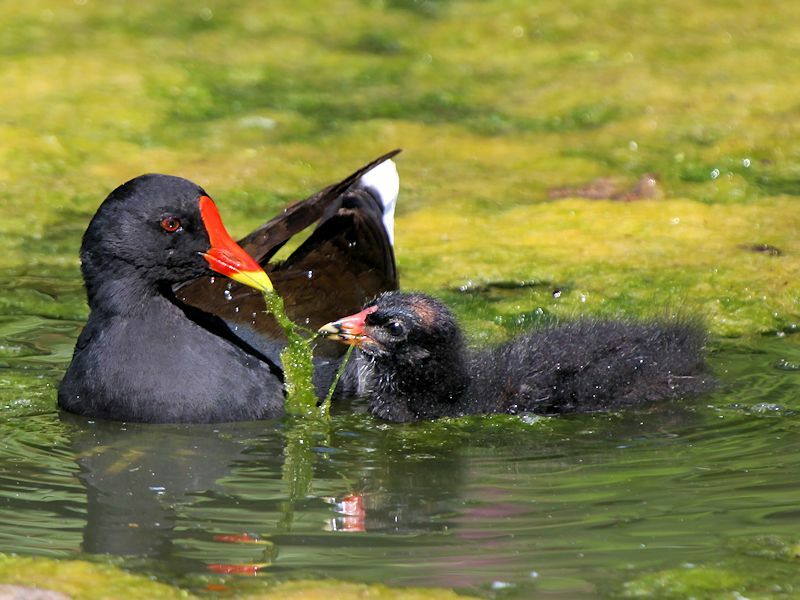 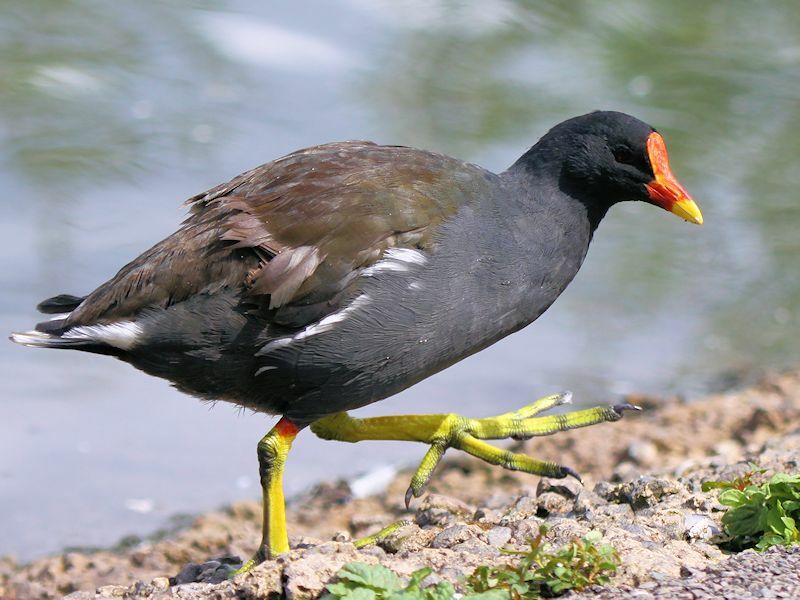 The Moorhen, also known as Marsh Hen or River Chickens, is a member of the Rallidae family (rail) and is related to the Coot. 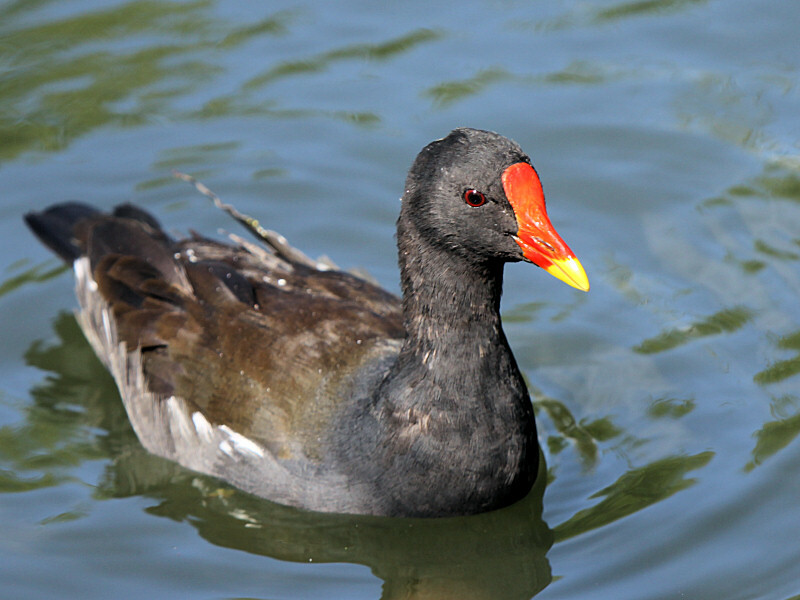 Due to their nervous behaviour, twitching tail and neck, they are also sometimes called �Skitty Coots�. 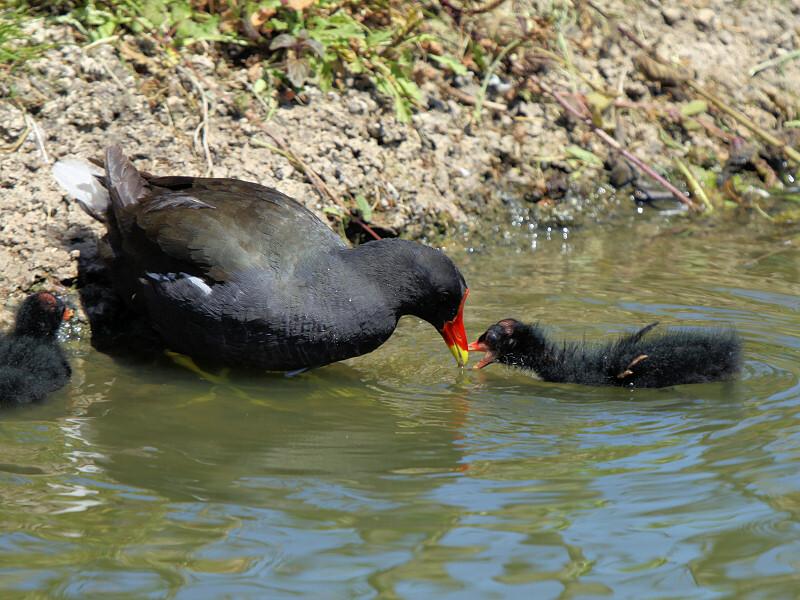 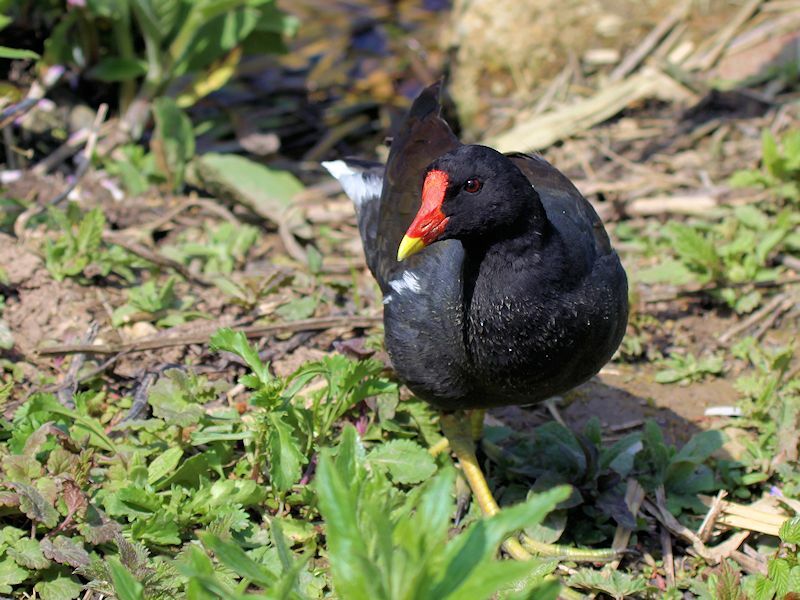 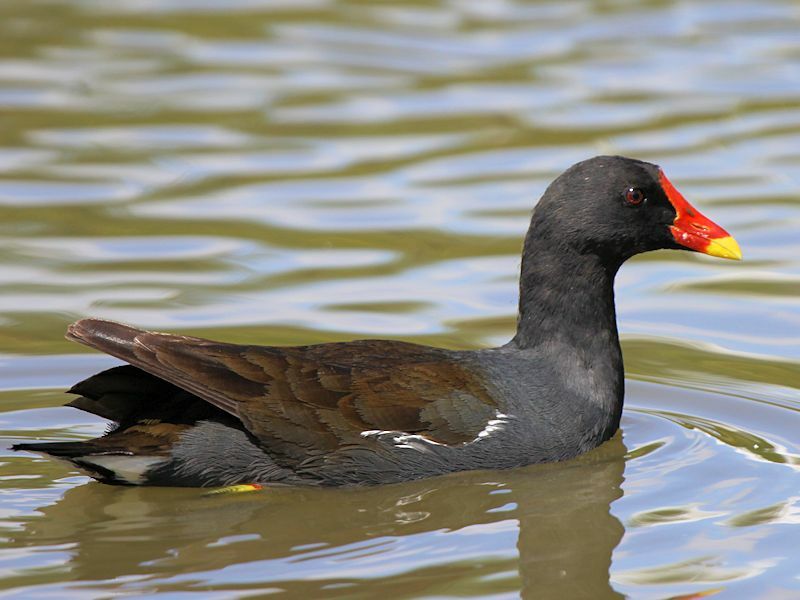 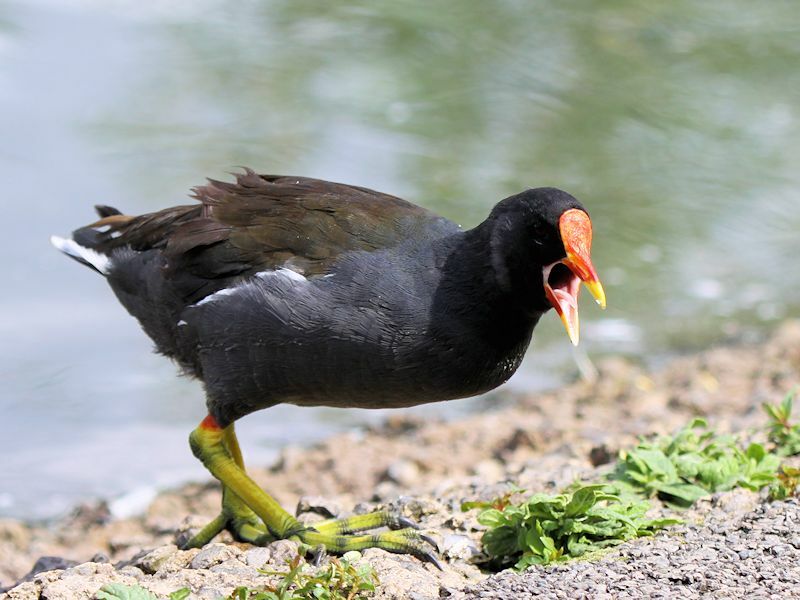 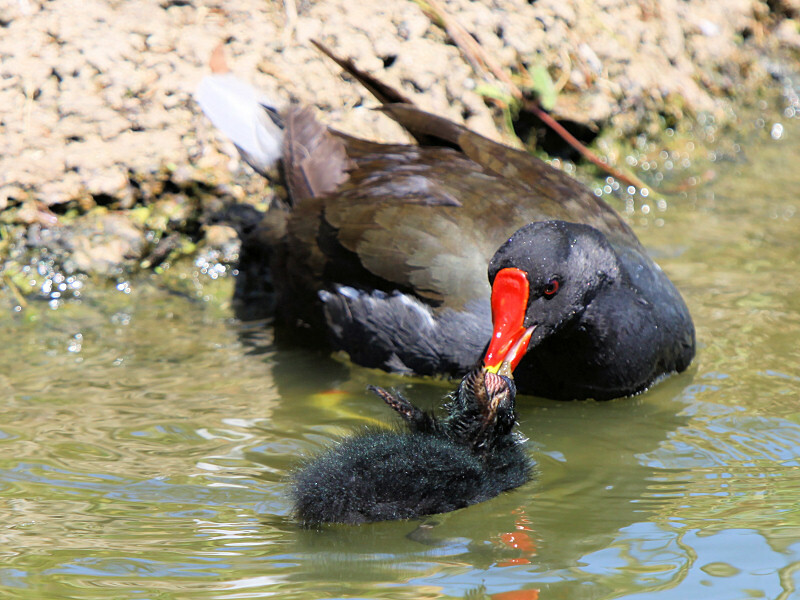 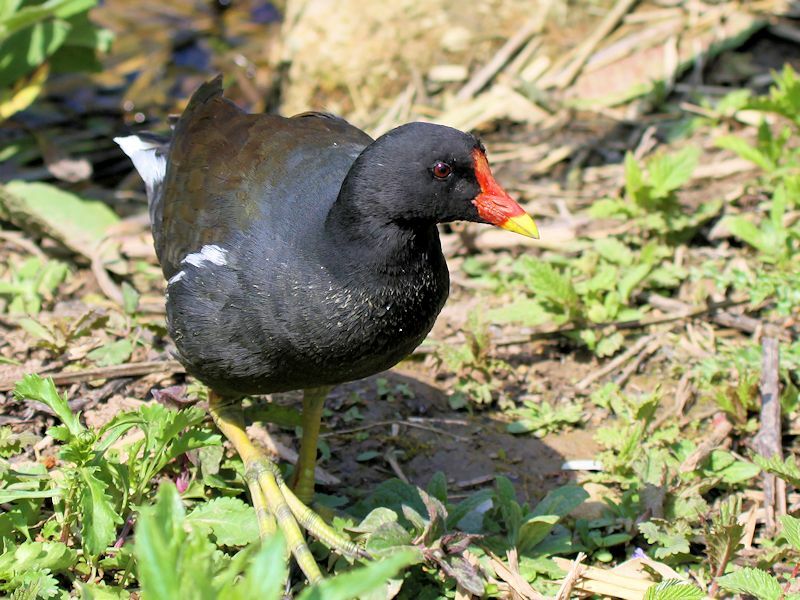 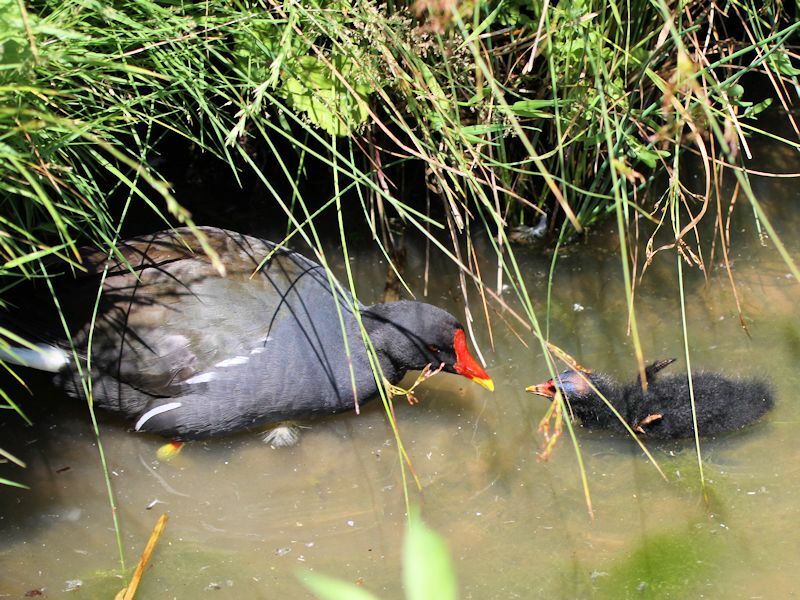 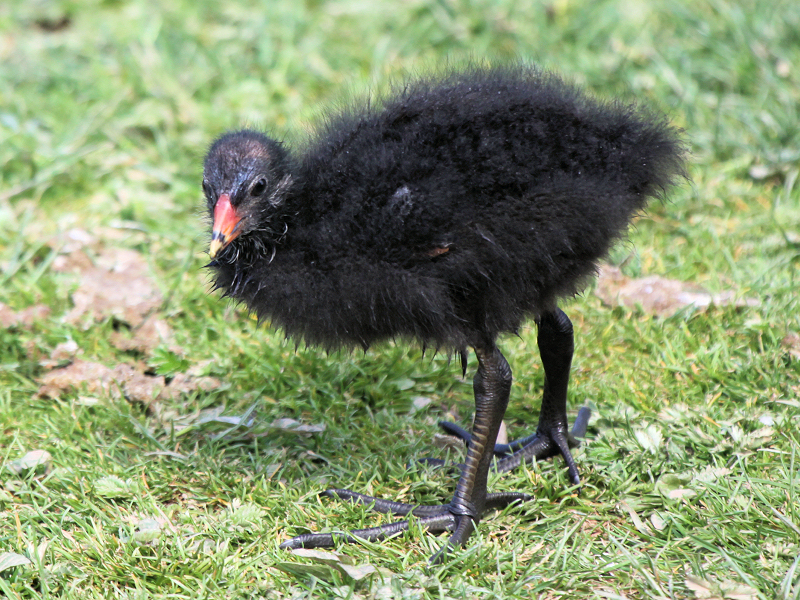 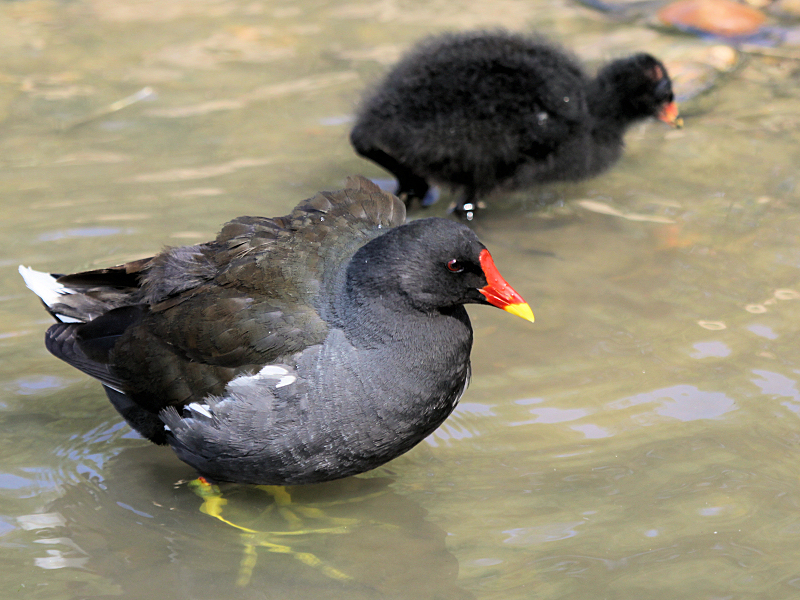 The Moorhen has strong legs and long toes and is excellent at walking on soft and uneven surfaces.